Here's my journal entry from my quiet time with God this morning. 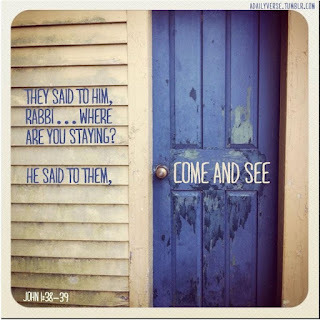 To see the format I use for these regular encounters with the God we see in Jesus, go here. Throughout chapter 22 of Matthew’s gospel, opponents of Jesus try to trap Him into saying things that will give them an airtight argument for His excommunication and/or execution. But at each trap, Jesus responds with explanations of what His kingdom is truly like. Caesars (governments) will exist on this earth until Jesus finally and fully establishes His kingdom on His return to the earth on the last day; until then, all citizens, including followers of Jesus, should pay their taxes to Caesar. There is no marriage in heaven; so the woman in the Sadducees’ illustration won’t have to choose among her seven husbands in the resurrection. And King David had, in fact, called the Messiah his Lord. Listen: Human beings don’t always act rationally. They tend to believe what they want to believe--I tend to believe what I want to believe, to be honest--and we’d rather not be confused by the facts. People can, because of our sinful nature, rationalize our ways to almost any decision or construction of the facts. The facts, drawn from compelling language; ancient literature, Christian and non-Christian; the consistent witness of more than 500 believers in Christ’s resurrection, even in the face of persecution and death; the transformation wrought in the lives of those first followers of Jesus, not to mention the billions of people who have followed Jesus Christ in the centuries since: and many other facts argue in favor of the Gospel. This Gospel tells us that God created this universe, entered it to save us from sin and death, died, rose, and ascended to heaven, and sent His Holy Spirit to help previously timid, unreliable people to trust in Christ and share Him with others. The factual evidence for the Gospel is overwhelming. Yet, there are people who choose not to listen to these facts, who refuse to believe. They prefer what some call "alternative facts." Clearly, an airtight logical argument is insufficient to bring someone to repentance and faith through Jesus. It must be done with our lives. It must be done with the simple invitation issued to friends, neighbors, and co-workers to “Come and see Jesus.” Come and see Jesus at work in His people. Come and see how Jesus changes my plans, projects, desires, living. See how He’s working in this imperfect life to help me to love God completely and to love others as much as I love and care about myself. We need to invite people to experience Christ for themselves. Our faith is in a living God and the mission of every Christian is to invite people to come and get to know Jesus for themselves. Respond: Jesus, You have given me my mind. So, I must use it to the full extent possible to present factual arguments for the gospel. Help me to do that. But, help me to realize that the most important thing I can do to help others to come to faith or to experience a deepening faith is to invite them to spend time with You...in Your Word, in the sacraments, in the fellowship of believers, and even in my own imperfect life. Help me to show YOU to others in all that I say, do, and am. Get me, my desires, my sins, and my imperfections out of the way so that people can see YOU. Because life can only be found in You. In Your name. Yesterday, over on Facebook, I posted this reaction to an executive order signed yesterday that promotes and legitimizes the exercise of political influence by churches and other religious entities. As a Christian and a pastor, not to mention as an American, I am deeply disturbed by the executive order signed today. The Church is not a political institution, nor can one draw a straight line from Jesus and a set of political convictions. To push a political agenda in the name of the God revealed in Jesus Christ is to take God's name in vain. The mission of the Church is to make disciples, bringing transformation and new life to all who believe. Churches that seek votes rather than pursuing Christ's great commission are faithless. Church political engagement is also ineffectual because transformed lives can't be legislated or coerced. People and societies can only be transformed as a result of the work of God in the lives of people who voluntarily believe in and follow Christ. This is not a political statement. It's a plea for the Church to refrain from dishonoring Christ through political activity. This executive order is bad for the Church and bad for America. We [as Christians] know that the world finds the gospel of Christ offensive. But political activism by the Church makes Christianity odious to non-believers for the wrong reasons. This order will encourage those who undertake political activity in Jesus' name to extend their activities, harming the spread of the gospel. Any time the Church receives special treatment from the State, the Church's proclamation of Christ is hurt. Today’s gospel lesson begins, as all incidents lived out on the salvation journey wrought by the God we know in Jesus Christ, in grief. But like all such incidents, it ends in life and in joy. It’s late in the afternoon on the first Easter, the day that Jesus rose from the dead. Two disciples, filled with grief, not yet convinced by the testimony to Jesus’ resurrection given to them by two different groups of their fellow disciples, are walking from Jerusalem, where they witnessed Jesus die, toward Emmaus. Why were these two disciples kept from recognizing Jesus? Was Jesus engaging in a little heavenly hocus-pocus? No, I think there are two reasons they didn’t know the man walking and talking with them was Jesus. First, neither one of them was expecting to see Jesus. They had watched Jesus die. Second, taking all the accounts of Jesus’ resurrection into consideration, one gets the idea that in His risen form, Jesus was the same, but different. He could express a desire for food. He could be touched. He could show people the wounds He’d incurred during His passion and crucifixion. But He also could show up in rooms behind locked doors. He seemed capable of being in multiple places at the same time. Jesus was the same, yet different, just as God’s Word promises that you and I will, beyond our own deaths and resurrections be the same--recognizable as the people we have been in this old creation--yet new, surprising, different, more whole, bathed in eternal life. Can’t you hear the hopelessness in the voices of the two disciples here? They had put all of their hope in Jesus. But what had their hope really been in? They had hoped that Jesus would redeem Israel, by which they meant, that Jesus would set the Jews free from the Romans. But it hadn’t happened. I know a man who was super-active in his church. He was considered a leader in the congregation, a person of prayer. But one day, he just gave up on God, dropped out of church. What happened? He’d counted on Jesus to make him wealthy and successful. He thought that he had a deal with Jesus: he would be a good guy and Jesus would give him what he wanted. He thought Jesus was a genie subject to his command, rather than the Savior from whom he took commands. When the man’s dream job turned to ashes and when his personal life got hard, he gave up on faith. Jesus’ words of admonition remind me of Psalm 14:1: “The fool says in his heart, ‘There is no God.’"
Jesus was saying that the two disciples were foolish for not believing that God is God. He chastises them for failing to believe that Jesus Himself could do what He'd said He would, die and rise for the sake of sinners like them like me and you. These folks are half right: According the ordinary laws of this world, dead people don’t rise, just as, according to the ordinary working of the law of gravity, an apple that falls from a tree will land on the ground below. But what if, as I walk by that apple tree and see the apple start to fall and, instead of letting it hit the ground, I catch it? * The law of gravity will not have been rescinded; but I will have intervened to change the usual outcome. Like every other human being, Jesus died. But then, God the Father did something: He intervened in the normal outworking of this fallen universe’s laws. He changed the outcome and raised Jesus, His Son, to a new and eternal life. And by His death and resurrection, Jesus both paid the debt we owe to God and neighbor for our sins and then opened up a perfect eternity with God to all who trust in Him. The God we meet through Jesus can intervene in our lives to make us new. It’s foolish to think that the One Who made everything in the first place can’t make it new when it gets messed up. That’s effectively what Jesus tells these two disciples walking to Emmaus. Jesus now teaches them how the Old Testament had pointed to His death and resurrection. Jesus no doubt mentioned chapters and verses of prophecy. Whose passion for us all would inevitably lead Him to stop at nothing--not even death on a cross--to destroy the power of sin and death over our lives. The God with this character and these traits would, of course, enter our stories to write new, everlasting endings for all who believe in Jesus. 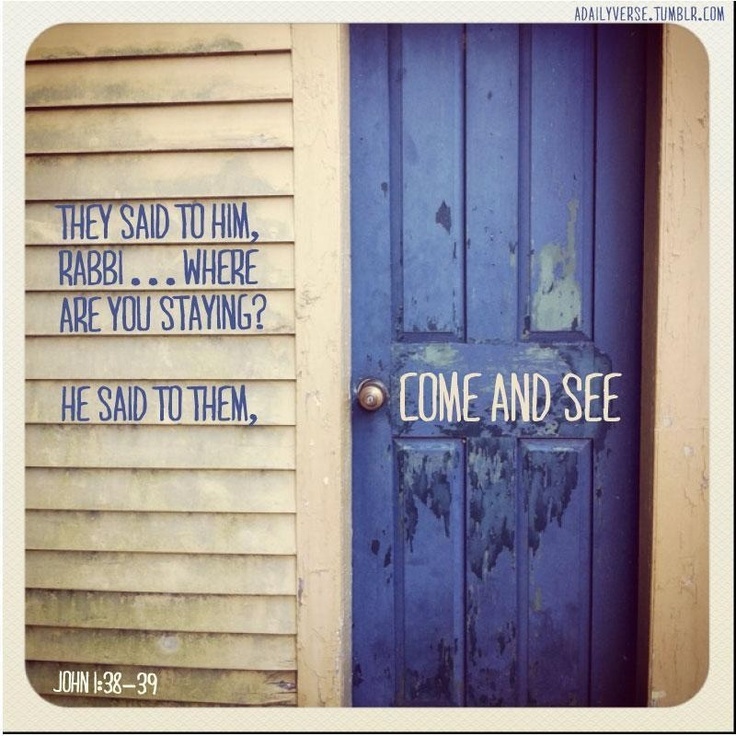 I love this part of the Emmaus narrative! Notice two things. Suddenly, the two now saw how their bodies and their lives could be misused. And they were ashamed. Now, come back to Emmaus. 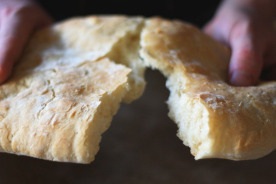 The two disciples--who many scholars today believe are husband and wife--see Jesus break the bread and they see, not their own capacity for evil, but God’s infinite capacity to forgive, restore, renew, and remake those who turn from sin and trust in Jesus. Jesus reverses the curse of Eden. In Him, this couple sees not their own sin, but Christ’s righteousness. That’s what Christ wants all of us to see. Our sin left uncovered by Christ’s righteousness will damn us. But Christ’s righteousness can cover even the darkest of sins and most awful of hurts in God’s grace, love, and life! First, He shares God’s Word about Himself. Second, He shares bread at the table with them. These are still the ways Jesus reveals Himself to us today. We call them Word and Sacrament: The Word of the Bible which testifies about the loving God we meet in Jesus. And the sacraments, in which Jesus uses common elements like bread, wine, and water to meet us, claim us, shower us with grace, make us new, forgive us, and assure us that He is with us always, now and in eternity. Jesus is saying to those two disciples and to you and me, that every time we hear His Word and receive the Sacraments, as we are doing together again this morning, He is with us, making us new, replacing our doubts with faith, replacing our sin with His forgiveness. We can come to Him whatever the current state of our lives--grieving, sad, joyous, contented, depressed, excited, whatever--and He will show Himself to us again. He will open our eyes and remind us once again that He saves by grace and eternally lives with all who surrender to Him and His love. After their encounter with Jesus in Word and bread, the two disciples run back to Jerusalem. Suddenly, they don’t care if the sun has gone down and they can’t see the ground beneath them as they run to tell the others that they’ve seen Jesus. Their hearts are burning within them and they simply have to add their testimony to that of the others who have encountered Jesus. Their day began in grief and has ended in joy! They have to tell the world about their risen Lord. Let me ask you: After our encounters with the risen Jesus in the Bible, in Holy Baptism and Holy Communion, can we do any less? *This illustration comes from The Case for Faith. These are reflections from my morning quiet time with God. (For more on how I spend my quiet time with God, see here.) I had never previously noticed the thematic cohesion in Matthew 20, until today's quiet time. It's amazing how God can keep speaking to us in fresh ways when we take the time to pay attention to His Word. Look: Matthew 20 begins with Jesus telling a parable about God’s right to give the same level of generous grace to all, no matter when they come to believe in and follow Him. Jesus says that in the kingdom of God, the last will be first and the first will be last and their standing will have nothing to do with how the world sees things. Listen: While James and John were apostles and would have a special part to play in the kingdom of God, Jesus’ answer to their request (their prayer) was different from the one given to the two blind men. To James and John, Jesus gave a nuanced no. Jesus tells them that they will, as they so confidently and ignorantly say they can do (v.22), drink the cup that Jesus is about to drink: They would drink of death because, after Jesus’ death, resurrection, ascension, and the arrival of the Holy Spirit, James and John would faithfully exercise their particular callings as apostles, telling others about the way of new life with God through Jesus. They would lose their lives for their faithfulness. But Jesus told them that only the Father could or would decide where they would be seated in the kingdom of God. On the other hand, we have no further record of the blind men given sight by Jesus here. They asked for their sight and they followed Jesus. That’s all we know of them. Maybe they already were followers (disciples) of Jesus when they cried out for mercy. Now, with sightedness, they could physically follow Jesus along with the other disciples. We don’t know. 2. Matthew avoids indicating what status in the kingdom of God might belong to the now-sighted men or what their status might later have become. He only tells us that they followed Jesus. This is important. It’s a dangerous business trying to guess other disciples’ status with God. We can’t know the depths of their prayer life or the breadth of their faithfulness. We can’t know the secret sacrifices they may make to follow the Lord. We can’t know all of the temptations and sins with which other believers may wrestle in order to keep following Jesus. Only God knows and only God sees the true nature of a person’s discipleship or the disciple’s place in His kingdom. 3. Even if James and John occupied a special, revered office in Christ’s Church on earth, which they did, it doesn’t mean that the blind men don’t enjoy higher status in the kingdom of God. The only One Whose judgment counts when it comes to evaluating our lives is God. He loves all equally. Christ died and rose for all. All who repent and believe in Christ have a share in His kingdom. Status, place, is entirely God’s decision. Period. For each Christian, it should be sufficient knowing that we belong to the God we meet and trust in Jesus. Everything else is self-absorption. Rather than trying to outguess the sovereignty of God, our call is simply to follow and go where Jesus sends us. I’m a sinner saved only by the grace of God given to those who trust in Jesus. By grace through faith in Christ I’m granted a place in God’s kingdom. Who am I to argue over the seating arrangements? Or to concern myself with whether others regard me as a great disciple, faithful, upstanding, wise, smart, important, worthy, exalted, or anything else?